The Craigleith Heritage Depot is presenting a series of films that celebrate our history, local filmmakers, and our Canadian identity. The following presentations will be shown at the Craigleith Community Centre, 132 Lakeshore Road E., just steps from the Craigleith Heritage Depot. 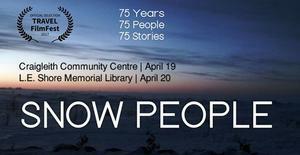 Thursday April 6th 1:30pm Heritage Minutes Matinee! These iconic minutes cover many local historical figures and significant Canadian events. Learn about the three short local films now in production by the Craigleith Heritage Depot. The Got a Minute? Pin a Minute activity will allow audience members to vote for their favourite heritage minute and discover new local subjects. Wednesday April 19 1:30pm & 6:30pm Snow People (2016) was produced by Mountain Goat Film Company. This documentary celebrates 75 years of snow culture in the Blue Mountains. This film explores the stories, the people, and the history of Southern Ontario’s largest ski resort area. Tickets required. Can be picked up at either library branch. There will be a Q & A with the filmmakers. Please visit: www.canadianfilmday.ca. Thursday April 27th 1:30pm Jazzman: a film that explores the life and struggles of John Kaddly, a jazz drummer that lives in the shadow of his jazz musician father, and his desire to make a name for himself. Inspired by the true life story of legendary jazz musician Moe Koffman and directed by Josh Koffman. 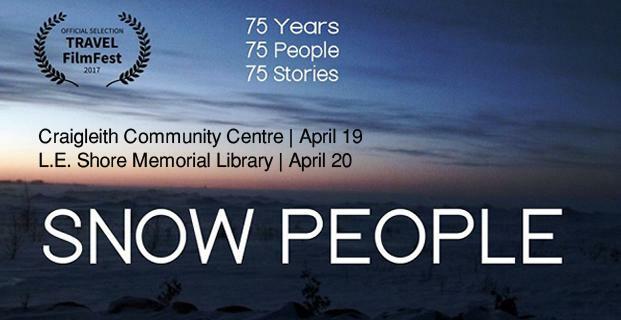 Thursday April 20th at 6:30pm Snow People, produced by Mountain Goat Film Company. This documentary celebrates 75 years of snow culture in the Blue Mountains. This film explores the stories, the people and the history of Southern Ontario’s largest ski resort area. There will be a Q & A with the filmmakers. Free, drop-in event. In conjunction with this roster of programmes, DVD copies of these and other Canadian films are available to borrow from the Blue Mountain Public Library’s branches. Check our online catalogue and place your hold today.